How do you ‘turn on’ social media to achieve your career and business goals? I see many wanting to do this because they see such a great potential to benefit from it. 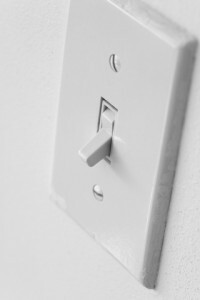 I see individuals and companies begin a social media program and from their actions, sometimes it appears as though they expect to be able to ‘turn it on’ like a light switch. Is this how social media works? Not really. Social media campaigns rely on an establishment of a network or a group of people who are interested in hearing your message. If a company or individual does not have this network built, the results can be disappointing and even damaging. Take, for example, having a blog. If you don’t have relationships with people, who expect that you will updating your blog regularly, who will read it? You could buy an email list to promote it, but how is that different than spam? You’ll likely get a poor response, and you might irritate those who you ‘blast’ with the information. Etiquette is very important in building relationships. So, how do you ‘turn on’ social media? There are few shortcuts, but let’s look at what you have to begin with. Many life sciences companies already have an e-newsletter. You can expand upon this content to create a blog, using a ‘social media charter’ and learning from other life science company blogs as we discussed in a previous post. If you are an individual, grow and utilize your existing network to point them to your blog or whatever media you’d like. Provide value, and continue to ‘pay it forward,’ and you’ll build a great network. It’s likely you’re already providing something customers or your personal network needs, it shouldn’t be hard to find other things that help them as well (e.g., lists of resources, reviews of conferences and literature). Social media works best when you use different tools together–you’ll reach different people and may find different results. For example, some people love RSS feeds, and some never bother with them–provide links to them, but also rely on other ways to get the word out. How do you get started? We’ll continue to cover social media in our Biotechnology Marketing 101 Series, and you can always contact us for a free consultation.